GPI G Series Turbine flowmeters are volumetric flow measurement devices. The moving fluid is used to turn a rotor, which is suspended in the flow stream. The rotating speed of the rotor is proportional to the fluid velocity or flow rate. As the blades from a spinning rotor pass by a magnetic sensor, an AC voltage pulse is generated and transmitted to the readout instrument. Each pulse is equal to a given volume of liquid, therefore “x” number of pulses are equal to a gallon, litre, pound, barrel, etc. 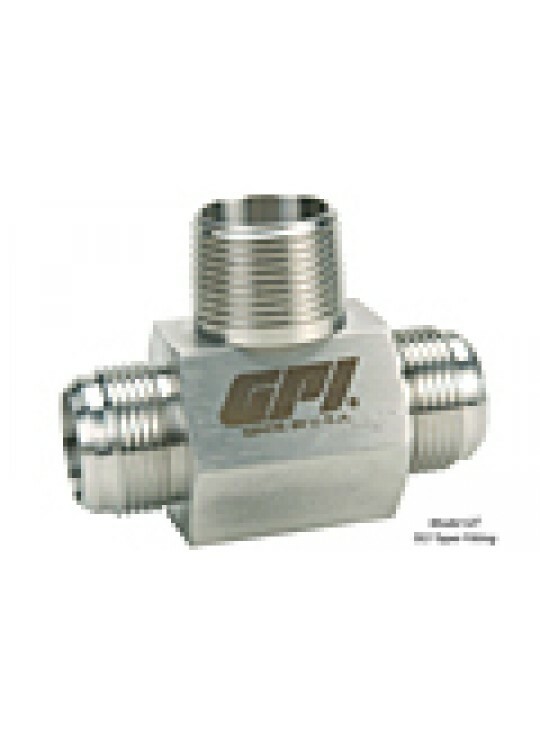 GPI G Series Turbines are identified by the internal diameter of the inlet and outlet.